Thanks to a good friend, I want to advise you of an "oops," as Sheila M. Blackford calls it. Sheila is with the Oregon State Bar Professional Liability Foundation. She noted the need for a correction in my article below. FDIC insurance is no longer unlimited for IOLTA. To obtain the current, "straight scoop," or if you have questions about the current state of the regulations, call 1-877-275-3342 or visit www.fdic.gov/deposit/deposits. Trust Account Safety: Should You Bank on It? What happens when a single trust account in one person's name exceeds the Federal Deposit Insurance Corporation guaranteed limit of $250,000? In an active family law, real estate, personal injury, or debt collection practice, it's conceivable to grow beyond this cap. The FDIC issued a ruling that all amounts in a client's trust account are protected, regardless of the amount. The account must, however, be identified as a trust account, and lawyers must maintain their clients' trust accounts in accordance with generally accepted accounting principles and the trust rules of the jurisdiction for such accounts, including identification of the amounts held for each client. This FDIC ruling addresses commentators' argument that a lawyer would be exposed to personal liability if the bank with one's trust accounts failed because it was, after all, the lawyer who selected the bank and who has an ethical responsibility to keep trust funds safe. This viewpoint would have required lawyers to inspect the financial solvency of their banks and vouch for the banks' stability. The FDIC's blanket protection on all client trust funds obviously provides some breathing room with regard to such a dilemma. However, given that many once-unthinkable financial events have happened, lawyers may want to further ensure that each client's trust funds are safe. Lawyers can identify the name of the client in bank records and the amount of dollars held for that client, in effect creating subaccounts. Another, more direct, approach is to maintain a separate trust account for each client whose funds are likely to be held for an extended period of time. The interest on such a separate account will belong to the client. Because this increases trust fund accounting expenses, one might also consider providing in the engagement agreement for an administrative charge to cover the cost of trust account administration. 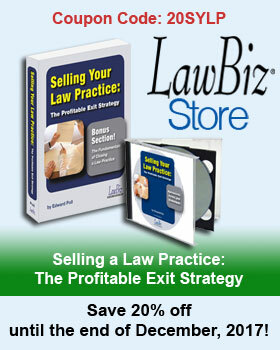 The extra piece of mind that it provides for client and lawyer could be well worth it.